Specialty Structures — Welcome to CHRISTY/COBB, INC.
Christy/Cobb provides services for the design, evaluation and review of special structures and/or their foundations. 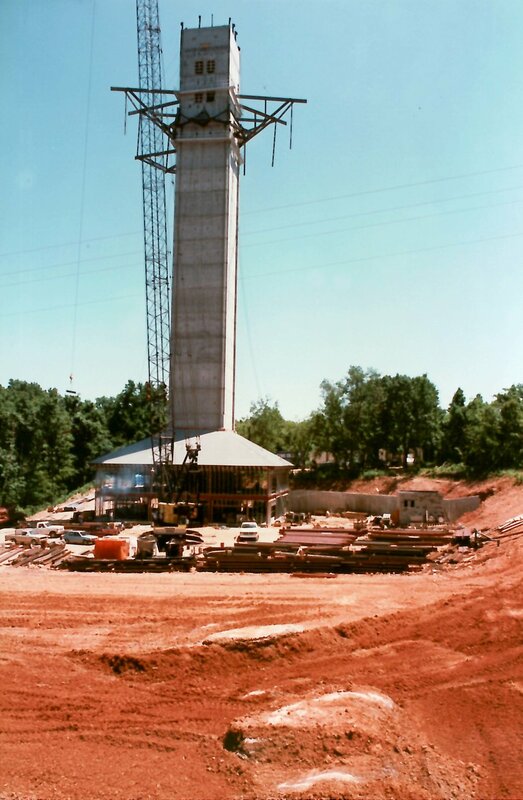 Christy/Cobb designed a tower approximately 250 foot tall as an exhibition and information center with a restaurant at the top for the State of Alabama. 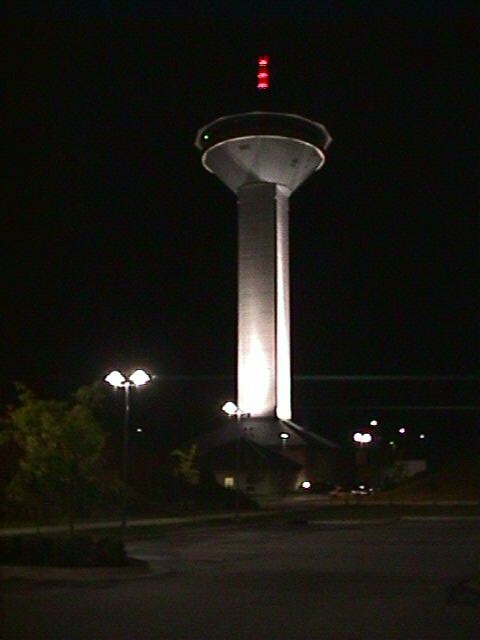 The space at the top of the tower continuously rotates to provide 360 degree view of the Tennessee River, Wilson Dam and the City of Florence below. 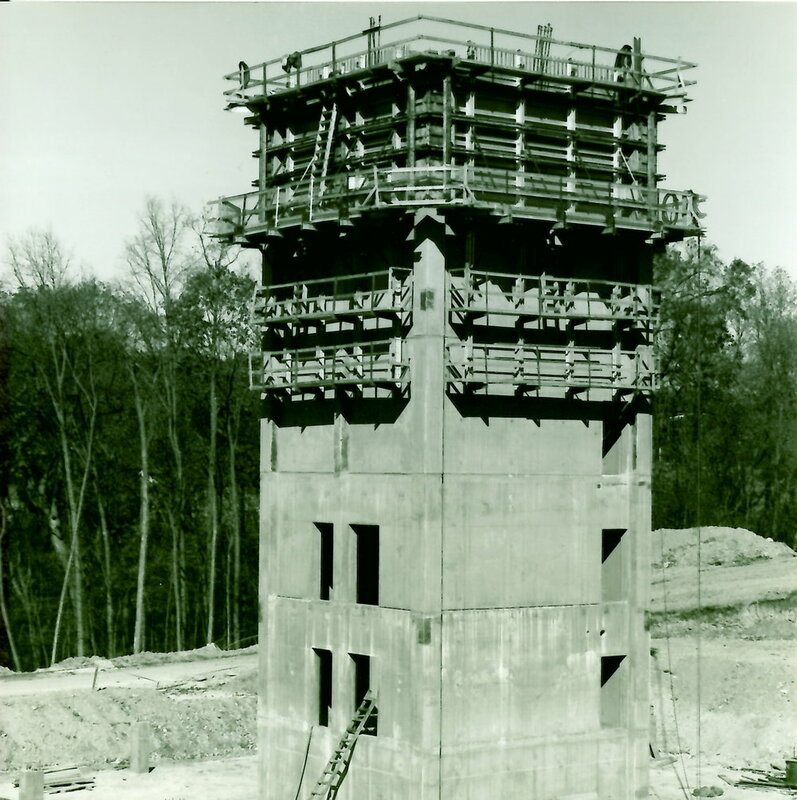 The tower stem is constructed with reinforced concrete and the space on top with structural steel. Christy/Cobb conducted a peer review of the sculpture and foundation donated by the Birmingham Museum of Art to UAB..
Christy/Cobb provided the structural design of the support and foundation for an architectural marquee located at the entrance of the Center. The marquee includes two LED orthogonal programmable displays highlighting upcoming events. The supports are designed with stainless steel, carbon steel and aluminum elements.